TaxSlayer is a solid choice if you're looking for an inexpensive tax software option with mobile app capabilities, and the company's guarantee of 100 percent accuracy and maximum refund gives added peace of mind. TaxSlayer is an online tax filing software for taxpayers who are comfortable taking the DIY route for preparing taxes. There are four products to choose from, including a free version for people who need a basic tax prep tool and a version just for freelancers and contractors. You can start your return for free when you create your account, with the option to switch to a different version along the way if it better fits your needs. In this review, we'll examine TaxSlayer's features, pricing, and ease of use, along with a look at how it compares to other leading online tax software. Read on to learn whether TaxSlayer is a worthwhile option for preparing your tax return this year. See our other picks when it comes to the best tax software to use before you file. If you're looking for a cost-friendly online tax filing software, TaxSlayer doesn't disappoint. It's possible to file both your state and federal return for free and the paid versions are priced lower than some of TaxSlayer's main competitors. In fact, TaxSlayer offers highly affordable pricing for filers with basic and more complicated returns. While these are all great features to have, TaxSlayer does leave something to be desired when it comes to integrations with third-party apps. You can't import data from expense tracking apps such as Stride or ItsDeductible, or investment data from your robo-advisor's app. You'll need to enter in your deductible expenses manually. Guaranteed Maximum Refund: TaxSlayer guarantees that you'll receive the maximum refund you're entitled to or they'll refund what you paid for the software. Zero Out of Pocket Fees: Instead of paying upfront for your TaxSlayer software, you can choose to have the cost deducted from your federal tax refund. 100 Percent Accurate Guarantee: TaxSlayer guarantees 100 percent calculations of your taxes or they'll reimburse you any federal and/or state penalties and interest charges. TaxSlayer features a straightforward design and site layout. To get started, you choose which version you want to use and create an account. You'll need to share your e-mail and create a password. From there, you're taken to the TaxSlayer menu where you can begin your tax return. But first, you have to read through and agree to TaxSlayer's terms of service. This spells out how TaxSlayer uses your information. The easiest approach is to start with entering your basic information, which includes your name, Social Security number, date of birth, mailing address and occupation. You'll also enter your filing status and information for your dependents here. Next, you'll enter your federal tax information, including income and deductions. Then you'll provide information about your health insurance. TaxSlayer transfers your federal return information automatically to complete your state return. There's one thing to note if you're the type who likes to jump around when preparing your return. While you can click on any of the sidebar buttons to go to a different section, that triggers a popup letting you know that your data may be lost. The only way to move from one page to the next and save your data is to use the navigation buttons at the bottom of each page. That could make going back and reviewing or changing information you've already entered a hassle. Other than that, it's an easy-to-use software. TaxSlayer offers unlimited email and phone support to Free and Classic users. You can view the support phone number and hours when you sign in. You can also send e-mail questions to the support team directly from your account or forward them to support@taxslayer.com. You'll need the Premium or Self-Employed software to get access to live chat help. You can also unlock Priority Support and the Ask a Tax Pro service for free with the Premium or Self-Employed versions. With Ask a Tax Pro, you can pose a tax question to a trained tax professional. They'll contact you within one business day with an answer. There's a $22 fee to add this service on to the Classic version. TaxSlayer's Knowledgebase includes answers to many common tax questions. If you don't want to wait for an e-mail response or on hold over the phone, you can try searching the Knowledgebase to find the information you need. You can also get support from TaxSlayer in the event that you're audited. Audit assistance is available for three years from the date you purchase your tax software. There are some limitations, however. Audit assistance is only available to Premium users. TaxSlayer offers no audit assistance if you file Schedule C, K-1 or form 2555 with your return. And audit help doesn't extend to state returns either. Unlike some of its competitors, TaxSlayer doesn't offer a downloadable version. But there is a mobile app. Estimate your tax refund using your W-2 or paystub. Compared to other tax software mobile apps, TaxSlayer doesn't give you quite as many options. You'll need to sign into your account from your desktop first to use the e-file feature and it only works for simple returns. TaxSlayer is just one of many online tax filing software options. As with any other purchase, it's a good idea to do some comparison shopping first. This table highlights TaxSlayer's pricing and best features alongside three other popular tax filing options. When deciding whether to use TaxSlayer over another tax software it all comes down to the features you want most and the price you'd like to pay. TaxAct, TurboTax and H&R Block all offer more features than TaxSlayer, but as you can see they all come with a higher price tag. That's something to consider, especially if you're not sure you'll need a lot of premium features to get your taxes done. TaxSlayer may not be as flashy as other tax software programs but it does offer the advantage of being budget-friendly for every tax filing situation. 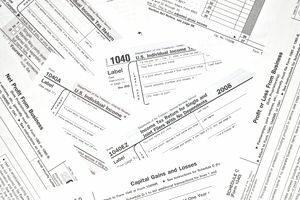 It could be a great fit this tax season for taxpayers who want a low-cost option for preparing and filing their federal and state returns. The built-in accuracy and maximum refund guarantees, along with its extensive library of tax knowledge add to its appeal.